30 September is Saint Jerome’s day. 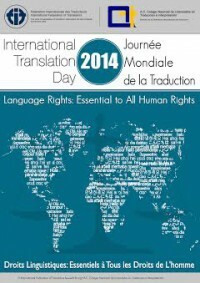 On that day, translators all over the world celebrate the International Translation Day. I went to St. Jerome’s Day 2014 (in Danish: Hieronymusdagen) at the University of Copenhagen, organised by the Danish forum for translators of visual media under the Danish Union of Journalists (Forum for Billedmedieoversættere), the Danish society for literary translators under the Danish Authors’ Society (Dansk Oversætterforbund), the Department of English Germanic and Romance Studies at the University of Copenhagen, and The Union of Communication and Language Professionals, Denmark. I don’t want to go into detail here about how the day was celebrated in Copenhagen, but just to give a brief overview, it comprised both a workshop on the status and extent of machine translation with post-editing, and how it affects the quality of the translation, and a panel debate on so-called sustainable translation, and how to maintain the quality. The panel debate presented the issues from very different angles, including computer assisted translation and subsequent quality assurance at the translation agency, how to maintain quality in subtitles for TV news items while working to extremely tight deadlines, and quality issues in the translated novel when communication between the translator and the editor is limited or non-existing. Translators of almost all variations of the profession in Denmark were present that day in Copenhagen, ranging from literary translators, translators of non-fiction and technical literature, translators writing subtitles for movies, TV series, and documentaries, authorised translators specialised within law and finance, translators specialised in marketing and copy writing to interpreters working in the courts and at many other places. Also editors, publishers, translation agency managers, university professors and students were present. If you are only in touch with a small corner of the profession, it is easy to forget what a mixed profession it is, that it encompasses people with immensely different backgrounds, but all working towards the same end: to transfer meaning expressed in writing or verbally from one language to another language. Who also work as translators? One group of translators was not present at the event: the people whom most of us, including themselves, don’t call translators, but who nevertheless translate vast amounts of text and have considerable influence on the development of the Danish language. They are for instance journalists who write articles based on information in another language. Most journalists working for national media or news agencies in Denmark do that on, well, not just a daily basis, but perhaps an hourly basis. Other examples are scientists writing about their research, IT professionals documenting their own, or their colleagues’, work in another language, engineers working for companies that export or import products, civil servants in the public sector producing written materials in a different language than the language in which their source materials are written. There is no end to who can, and do, translate text and speech, anyone can do this type of work. I have a degree, and I have worked as a translator for quite a few years. But I am not going to claim that only people like me are real, genuine translators. As we were also reminded that day at the University of Copenhagen, the volumes being translated have increased and will continue to do so. Although translation software can help translators, we do need a lot of help to cope with the high volumes. It is not possible to translate just by pressing a button, if you want a decent result, and for a small language like Danish, I don’t think it ever will be possible, at least not until in an extremely distant future. So I am grateful that so many people are helping out. But I would wish that they would be more conscious about the responsibility they assume when doing so. Of course, some are aware of this, but they are too few. First of all, if you don’t understand the nuances in the language you are translating from, or conveying information from, then there is a great risk that something will be lost or misunderstood. Secondly, you need to be able to express yourself with clarity in order to convey the precise meaning in the target language. Thirdly, and this is what I think is most important: language is delicate; you can influence and bend it in many ways. Text that is read and speech that is listened to every day by many people, adults and children, will influence the way they use the language themselves. If they don’t have a firm base of knowledge about spelling, grammar, use of metaphors, idiomatic expressions, in brief common language usage, and many people don’t have that, then they will copy the language they read and hear, without reflecting on it, or caring about it. But language is important because it is an important means of communication; it is our common base for being able to understand each other. Therefore it needs to be treated with respect. 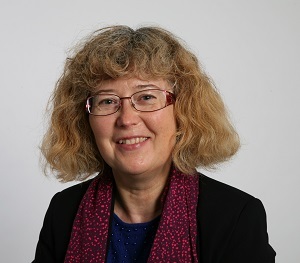 One of the translators attending the International Translation Day in Copenhagen, Kirsten Marie Øverås, told us that she has made a contribution towards assisting the translating non-translators by writing a book about how to avoid the worst pitfalls when translating into Danish. This book is a good start. I hope it will be a step towards creating more awareness about the importance of conscious language usage in translation. We need many more translators who have the required knowledge and are phrasing their sentences and choosing their words with care.